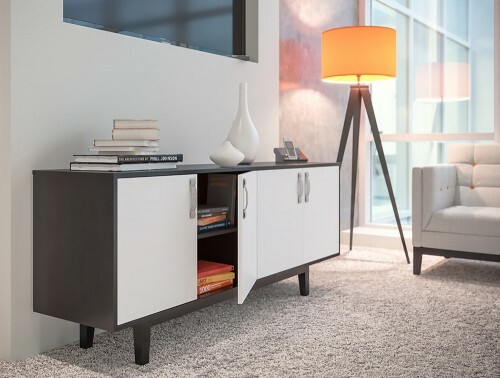 A credenza unit offers storage space that is perfect to help you keep your space clutter free. 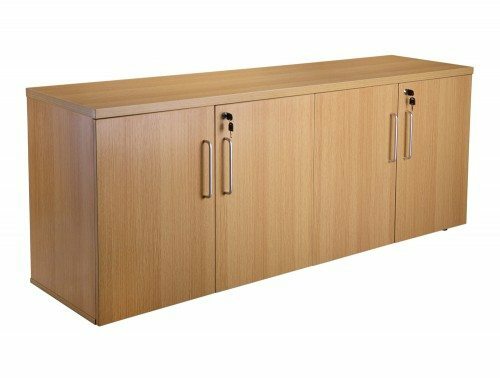 The sideboard cabinets are highly ideal for an executive office, meeting rooms and receptions. The modern and stylish cupboards are designed with functionality and practicality in mind. 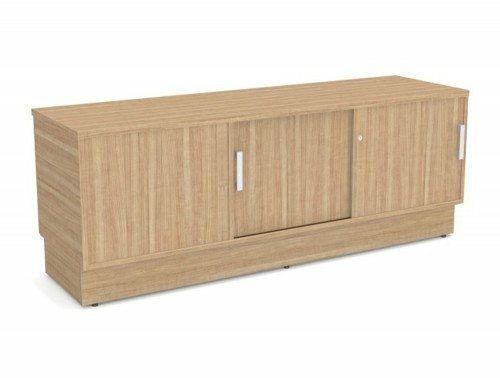 We source our range of credenzas from some of Europe’s best and most-trusted furniture manufacturers to ensure you are getting the best storage solution within your price budget! 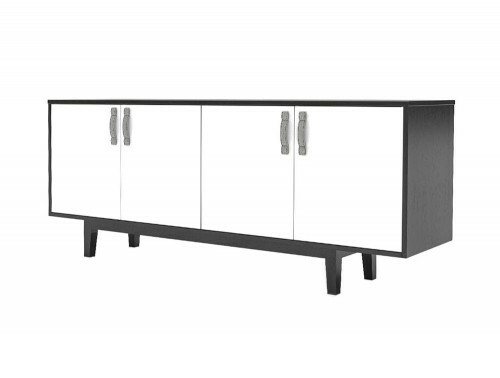 We have affordable credenza storages units for sales as well as more high-end sideboard cabinets with extra features. 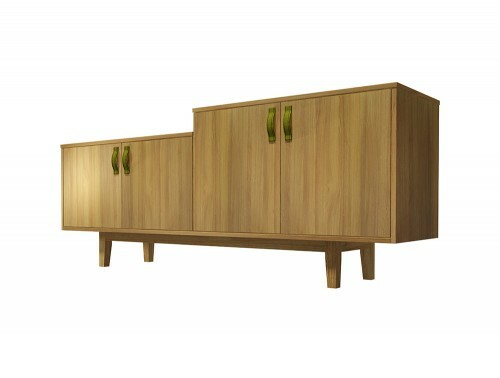 Our online catalogue features a wide choice of different credenza unit designs. 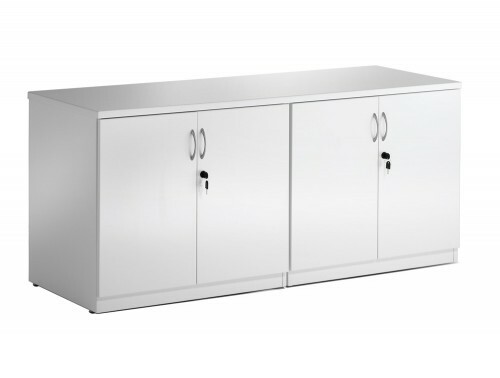 Choose from wooden sideboard cabinets featuring sliding doors or pull open doors with brushed metal handles which are all fully lockable in design. 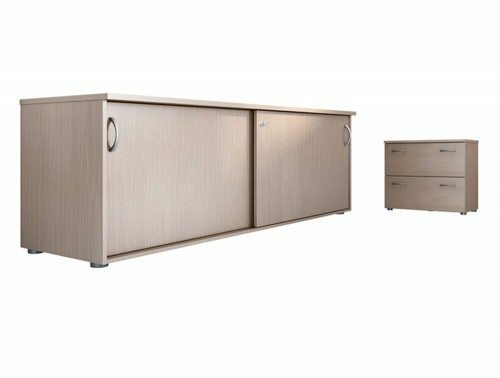 The highly durable wooden credenza cupboards are available in many sizes and in 16 different colours to best suit your office décor. 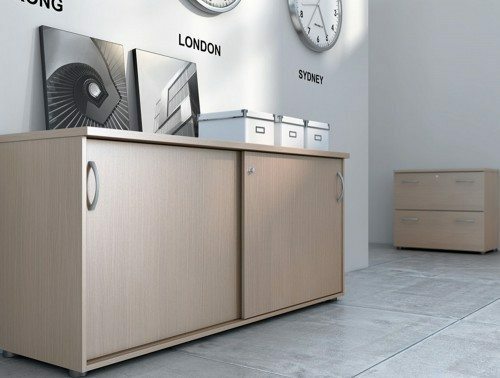 A variety of our modern office credenzas feature wooden legs for added height and stylish look. 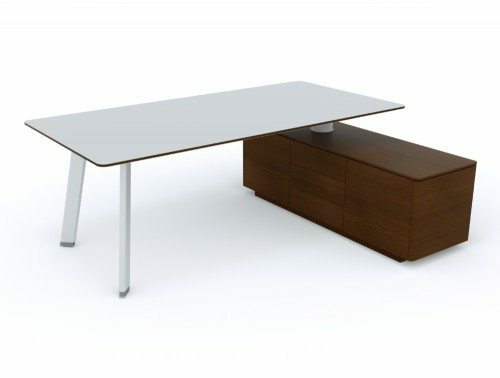 Executive office desks and matching credenza side unit are also available in our collection. 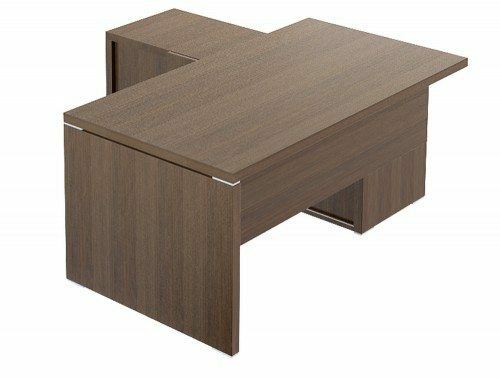 The modern office credenzas for sale are offered with a time warranty policy which means that its functionality and quality is guaranteed during the stated time period. 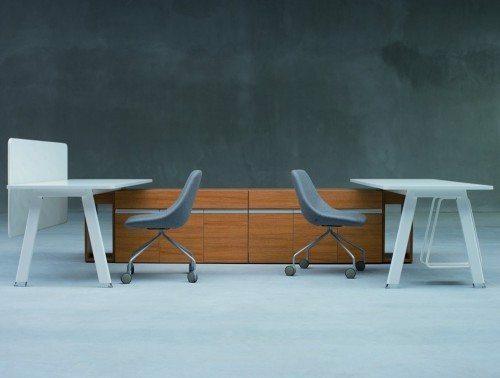 All of the furniture in our credenza selection have been thoroughly tested to make sure it meets the highest standard fit for home and corporate use. Credenzas offer a more professional look to your space while serving an important function to help keep your surrounding area free of clutter. 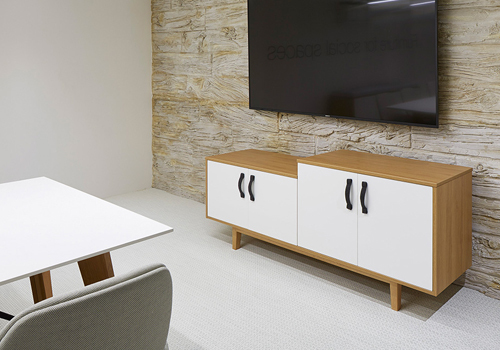 The office credenza cabinets can be used in many places around the office. They are a great addition to meeting rooms. 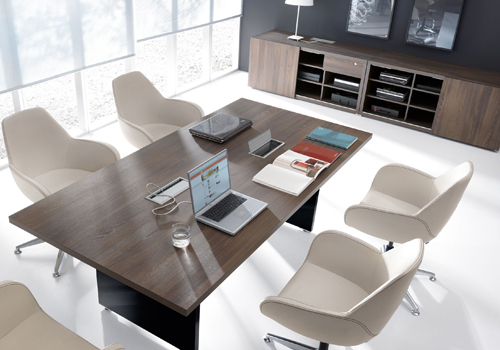 Impress your visitors during business meetings with a clean meeting room featuring a sleek and modern sideboard cabinet. 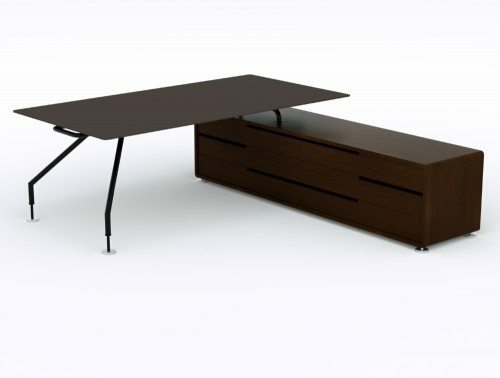 Having a credenza cupboard also allows you to keep files and folders at reach if you need to show them during meetings. Credenzas are also highly useful in reception areas. To keep your waiting area free of clutter, store magazines in the storage compartment. 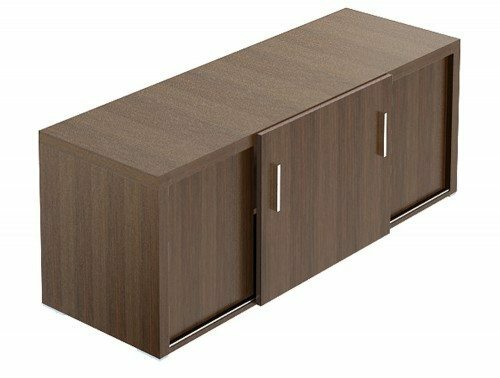 Receptionists can also store folders and files in the credenza without having to worry as all of the cabinets are fully lockable to ensure confidential and valuable items are safe and protected throughout the day! 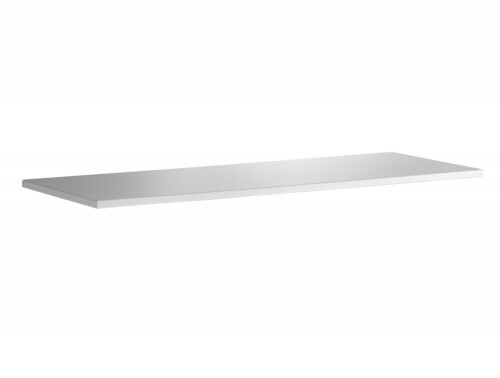 You can place some items that you wish your visitors to see on the credenza top. 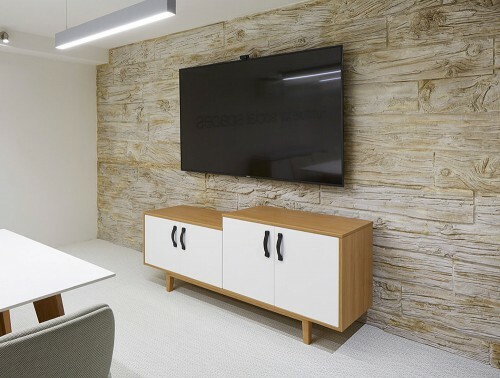 If space is a problem in your meeting room or reception areas, the credenzas with sliding doors are the ideal option as they don’t require as much space when being opened compared to swing open doors. 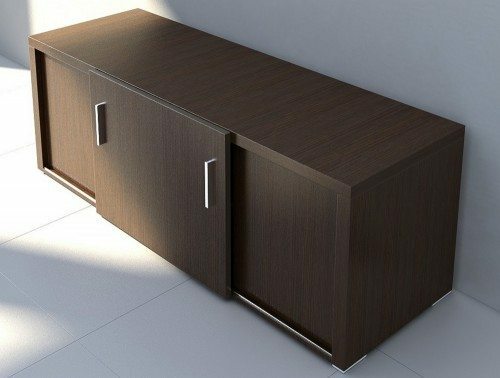 A selection of the credenza designs have a cushion on top of the unit which serves as an extra seating option, a handy feature for reception areas and meeting rooms where you may need to cater for a number of people at a time. Our online collection features high-end executive credenza units highly suitable for an executive office. 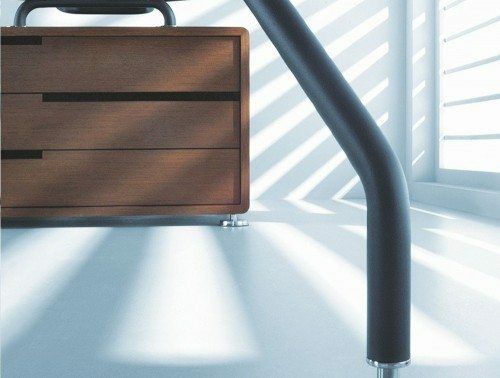 A selection of these professional and stylish sideboard cabinets boasts an aluminium leg to top connections and handles to finish off a truly exquisite executive look. 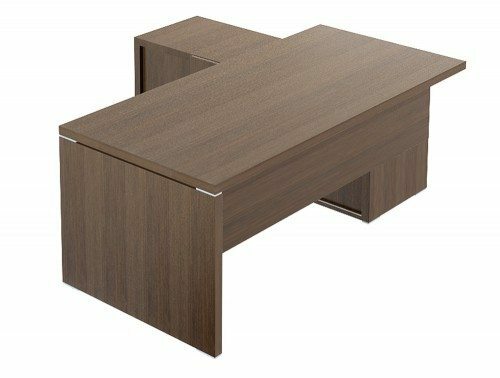 The executive desk with an integrated matching credenza is available in left or right-hand side options to best suit your space and preference. 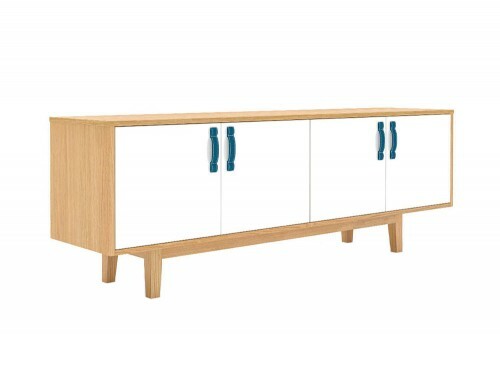 If you’d like to find out more about our range of Credenzas or discuss your requirements, simply request a callback.